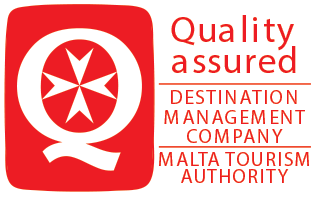 Colours of Malta has been operating as a Destination Management Company on the Maltese Tourism market for over 20 years. Specializing exclusively in handling conference and incentive markets, we are a full service event and management firm and are proud to have formed very strong relationships with suppliers and freelance operators alike along the years. We are professionals in group logistics for both short and long stays on the Island and hold many successful specialised events , back to back programmes and prestigious events under our umbrella of past events. Routine pre cons with all our suppliers and freelancers prior to events take place in our centrally located offices in Sliema just near the five star hotels of St Julians prior to any event that Colours of Malta hosts. We treat events of all magnitudes with the same specialised care and attention leaving no stone unturned. We are a multi lingual and multitalented team and pride ourselves in the precision of detail and go the extra mile to meet our clients’ needs and transform their ideas into memorable experiences. Our staff are constantly attending seminars and workshops on training and managerial roles, constantly enhancing our knowledge on the market we work within. Colours of Malta staff are also trained in Business Ethics and conduct and we have in place appropriate policies and controls to comply with local and global anti-bribery laws and regulation. All scheduled transport services are checked onsite beforehand by our team members to ensure punctuality and top service and we avail ourselves of only top quality vehicles from buses to VIP chauffer driven cars. We recruit a number of specialised guides and hostesses that we have handpicked over the years for their professionalism and smart appearance apart from their knowledge of the industry and the island. Colours of Malta is one of a handful of local Quality Assured DMCs that possess a € 2.300.000,- General Liability insurance cover and only work with suppliers that have adequate insurance coverage to ensure maximum security.